In the case where you take notice of Windows 10 slow performance, you will firstly open the Task Manager to check the CPU, memory and Disk usage on your PC, but to find there is a Windows process called Modern Setup Host takes up high CPU or disk holding your PC hostage, especially after Windows 10 update. While in some situations, high CPU and disk on Modern Setup Host come out even if the upgrade happened a long time ago. Should I End the Modern Setup Host? Why Does Modern Setup Host High CPU or Disk Occur to Windows 10? Sometimes, SetupHost.exe uses 50% or more CPU on Windows 10, which seriously prevents you from running smoothly. After restarting for several times, Modern Setup Host usage jumps from 50% to 95% again on your PC. Or for some people, if you have just updated Windows 10, you will find the Modern Setup Host stopped working on Windows 10. Unfortunately, this problematic process is unfamiliar to most of the users, which is also why this post appears to help you with the SetupHost.exe at 100% high disk usage error. This Modern Setup Host (SetupHost.exe) is an installer which is located in the subfolder of C:$Windows.BTSources. It is mainly used for installing or preparing an update on Windows 10. The SetupHost.exe runs in the background with certain privileges in the context of Windowsstoresetup.exe as long as you are experiencing Windows Update or using the setup files. As you can see, SetupHost.exe is related to Windows update. It is said that you would better not stop Modern Setup Host if you have just updated Windows 10, or it will lead to unnecessary problems for the newly updated system on your computer. As you have been reminded, SetupHost.exe will install Windows update in the background, which explained perfectly why many of you have witnessed Modern Setup Host using high CPU and disk usage on Windows 10 soon after Windows 10 update. And In line with the concept of the SetupHost.exe, it works in the backdrop of Windowsstoresetup.exe. Since the Windowsstoresetup.exe is closely relevant to the Windows Update process on Windows 10, during the period when you are updating Windows 10, Windows process Modern Setup Host will be automatically set priority using lots of CPU or disk space on your system, sometimes even get to 95%. 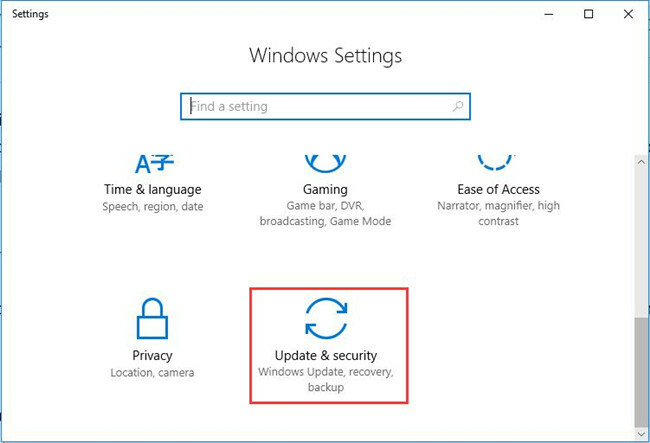 And at the same time, if Windows update is going on with your PC, it will not only take advantage of the Network, but also use up CPU, disk, and memory. To sum up, while you are updating Windows 10, the Modern Setup Host needs to run in the context of high CPU and disk to work fine with CPU and network demanding Windows Update. All these lead to a system error saying SetupHost.exe uses near 100% CPU or disk on Windows 10. How to Fix Modern Setup Host High CPU or Stopped Working Error on Windows 10? It is a thing of course that Modern Setup Host causing high disk will come to you when something went wrong with it. Now that Modern Setup Host is an executable file on Windows system, so it makes sense to scan for it to see if there is any issue in it. Or for some people, you can even notice SetupHost.exe has stopped working on your PC. To fix the Windows process issue of Modern Setup Host using high CPU and not working, it is suggestible that you make use of the methods below. Now that Modern Setup Host out of work or high CPU usage can happen mostly after Windows update, it is advisable for you to troubleshoot your PC with Windows Update Troubleshooter. Perhaps it can fix your updating error, thus removing the problem that Modern Setup Host uses a large amount of disk space on Windows 10. 1. Go to Start > Settings > Update & Security. 2. 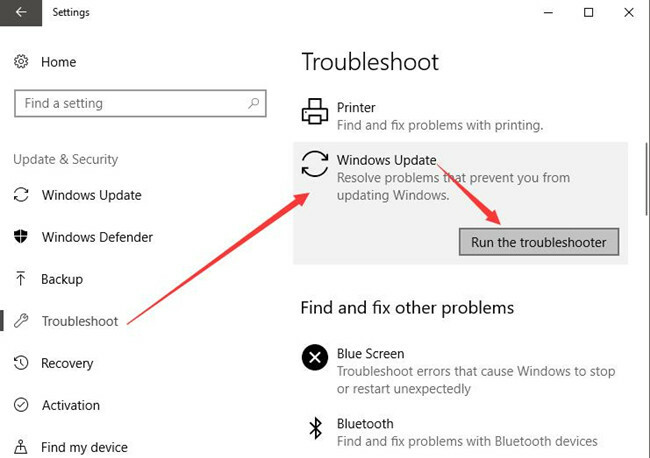 Under Troubleshoot, on the right pane, find out Windows Update, and then hit Run the troubleshooter. It is likely that this troubleshooter can somewhat fix the problems in the process of Windows Update. On that occasion, the SetupHost.exe not working will also be solved as well on Windows 10. First and foremost, you would better take advantage of the system tools to troubleshoot the Modern Setup Host disk at or near 100% on Windows 10. 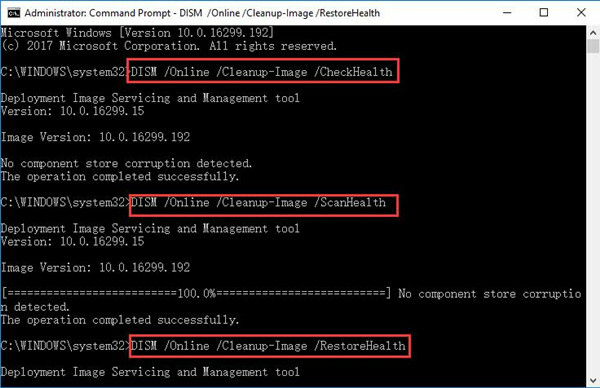 Here you can use System File Checker (SFC) to examine the working condition of the SetupHost.exe file and the Deployment Imaging Servicing Management (DISM) to scan for the image troubles on your PC. 2. In Command Prompt, enter sfc/scannow and then press Enter key to run SFC. 3. Then you will see System File Checker will start working to detect your PC. Once done, it is wise to run DISM as well to search deeper for the Modern Setup Host stopping working on Windows 10. 4. In Command Prompt, copy and paste the following command and then hit Enter to execute them one by one. In this way, DISM can fix the image error on your PC. 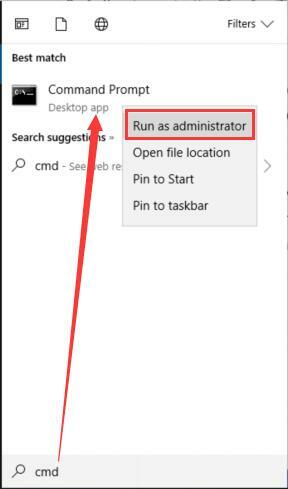 After that, go to the Task Manager to check whether or not Modern Setup Host taking up high CPU or disk or out of work persists on Windows 10. 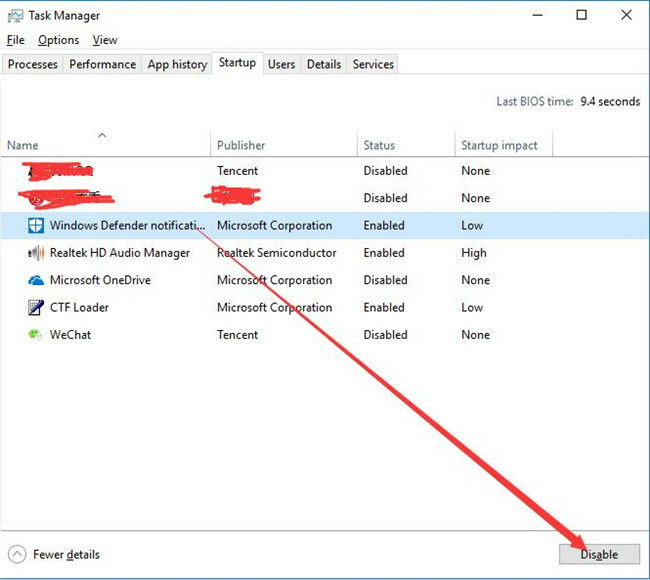 Just as the description above, you are not supposed to end the process Modern Setup Host, but to avoid the malware or threat on your computer, you might as well turn to Windows 10 embedded tool-Windows Defender to detect the error. 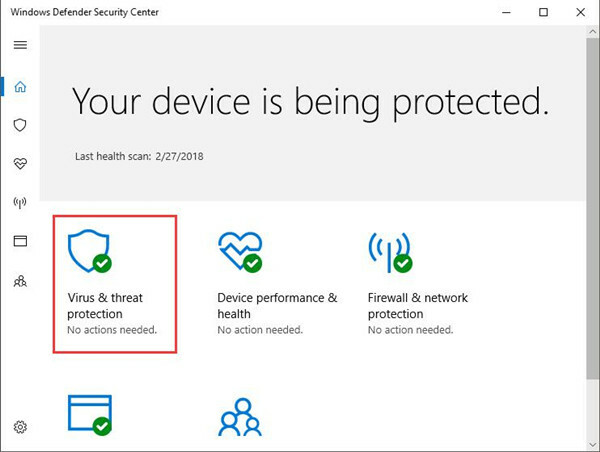 Before you begin to use Windows Defender, you are to enable Windows Defender. 1. 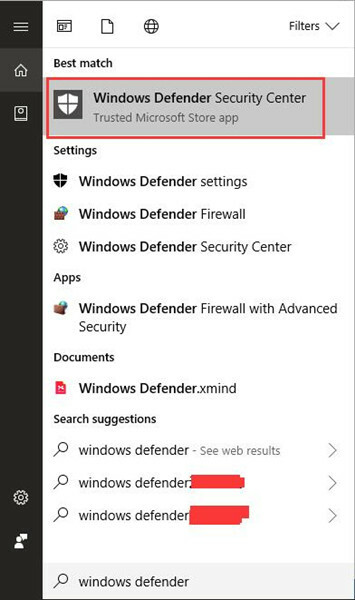 Search Windows Defender in the search box and then press Enter to move into Windows Defender Security Center. 2. In Windows Defender Center, click Virus & threat protection to scan for the malware. Here you can also decide to scan for the account, app, and browser, etc with Windows Defender. If you would like to, it is also feasible for you to use the third-party software to troubleshoot the SetupHost.exe high disk or CPU usage if Windows Defender failed to do so. According to the reports of Windows users, it is believed that Modern Setup Host using up CPU and disk can appear on Windows 10 if the language you are using is not matched with the default system UI language. Therefore, you are to change the language to the ideal system default language in the hope of fixing Modern Setup Host high disk or CPU usage on Windows 10. In this process, you need not only to check your default system UI language but also to check the system language in order to make sure they are well-matched with each other. In this way, Modern Setup Host high CPU or memory usage will disappear for some users. 1. 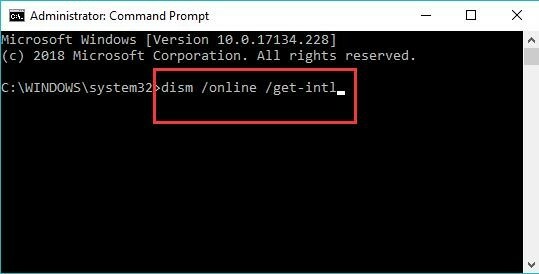 In Command Prompt with administrative privileges, enter the command dism /online /get-intl. Hit Enter to run the command. Then you can see default system UI language in Command Prompt. For instance, it may be English. Later on, it is high time that you tried to check the system language on your PC. 2. 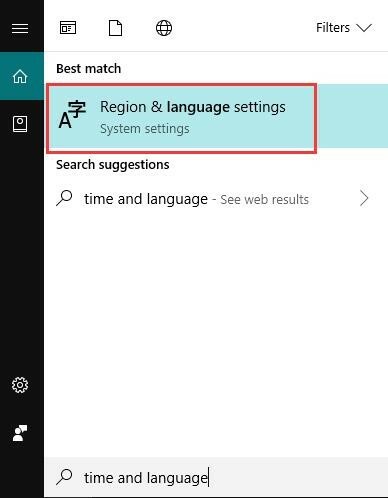 Type in Time and Language in the search box and then press Enter to move into Region and Language settings. 3. 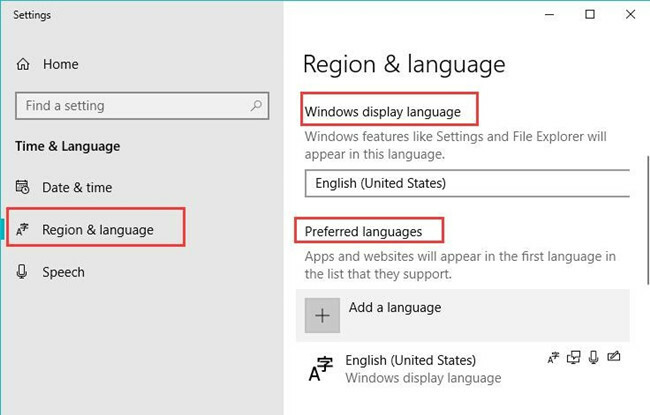 Under Region & Language, check the Windows display language and Preferred languages to see if it is the same with the Default System UI Language that you have checked in Command Prompt. Here you can obviously see it is also English. It would better if the Default system UI Language is the same with that of the system. If not, you are able to change the system language in Region & Language. You can check in Task Manager whether Modern Setup Host process is still occupying much disk or CPU on Windows 10. Or it is also available Modern Setup Host stopped working will also perish. Every time you updated your system, there will be temporary files left on Windows 10. And all these files are stored in the Software Distribution folder. The moment you noticed the Windows update related error, Modern Setup Host high CPU and disk usage pops up, it is a good choice for you to delete all the items in Software Distribution folder on Windows 10. 1. Press Windows + R to activate the Run box and then copy and paste C:\Windows\SoftwareDistribution\Download in the box. And then click OK to navigate to Software Distribution folder. 2. 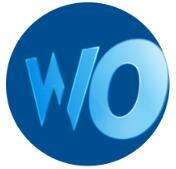 Then you will come to the Software Distribution Download. 3. 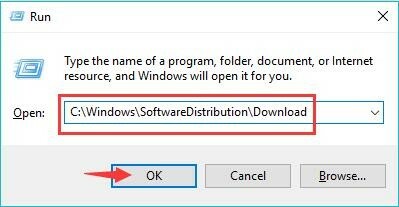 Right click the items in the Software Distribution Download to Delete them all. 4. Reboot Windows 10 to take effect. 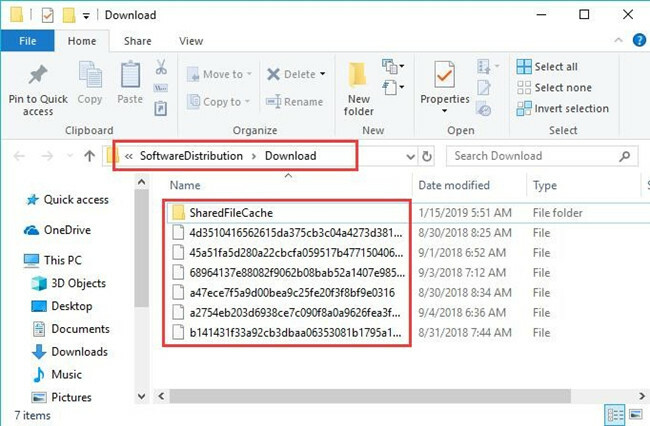 Upon the time there are no corrupted or unimportant files for Windows Update on your PC, you can see SetupHost.exe won’t run out of the disk space on Windows 10. As Modern Setup Host belongs to Windows system, though Microsoft regards it as not essential for the system, you can make attempts to stop Windows update so as to avoid Modern Setup Host takes up high disk and CPU on Windows 10. 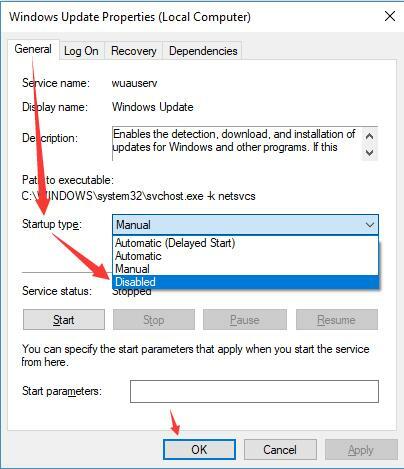 After that, you are able to restart Windows Update service if you feel like to. 1. 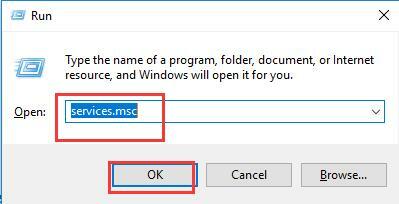 Press Windows + R to open the Run box and then type in services.msc in the box. 2. 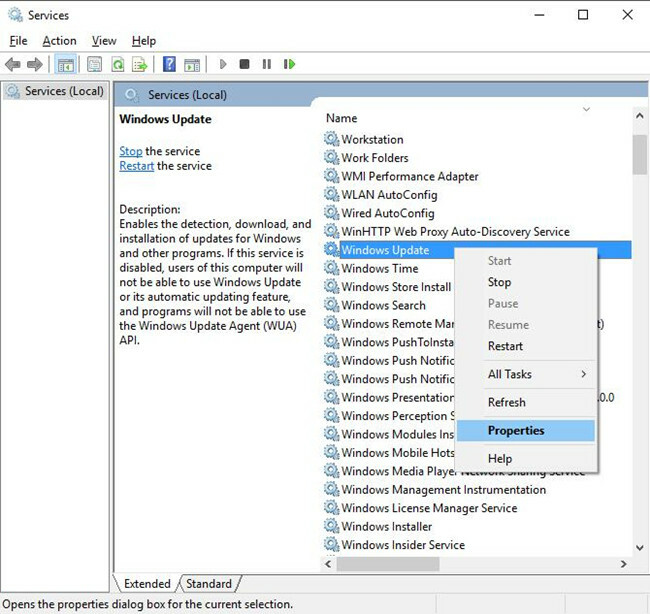 In Services window, locate Windows Update. 3. Then right click Windows Update to go into its Properties. 4. In Windows Update Properties, under the General tab, find out Startup type and choose to set it as Disabled. 5. After that, hit Apply and OK to save the changes. On this occasion, it is predictable that Windows 10 won’t meet with CPU or disk usage with SetupHost.exe on Windows 10 as Windows update on your PC has been disabled from startup. Do a Clean Boot can to some degree be a good way for you to fix Modern Setup Host stopped working issue on Windows 10. You should stop all startup services from running so as to ensure not so much CPU or disk space being used. 1. 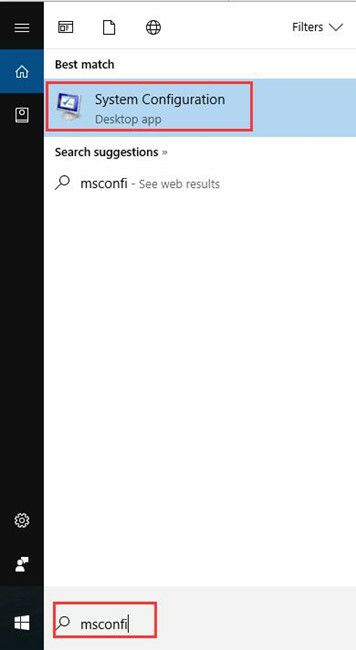 Type in msconfig in the search box and press Enter to enter System Configuration. 2. Then under the General tab, locate Selective startup and then uncheck the box of Load startup items. 3. Then under the Services tab, tick the box of Hide all Microsoft services and then click Disable all. 4. 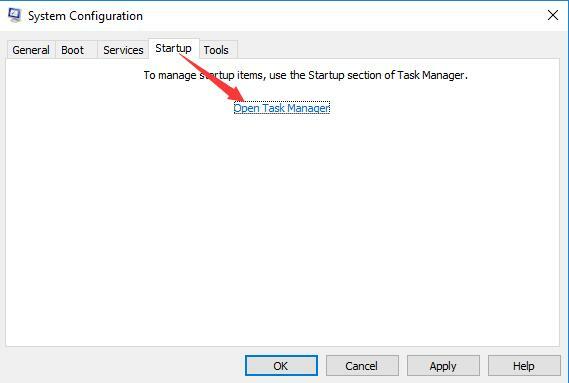 Under the Startup tab, hit Open Task Manager. 5. In Task Manager, choose the service enabled and then click Disable at the right corner. 6. Restart your PC to take effect. 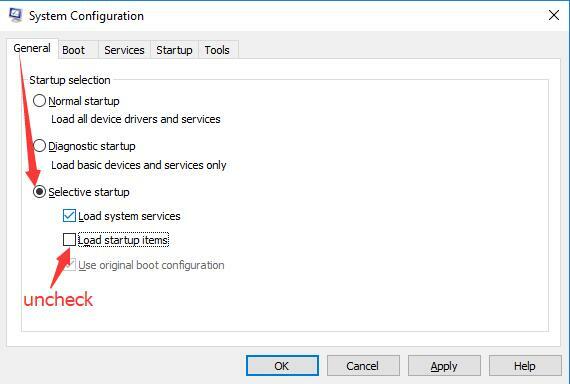 The instant you did a clean boot or disabled the startup services on Windows 10, you can re-open your PC to check if the CPU and disk volume of Modern Setup Host is still high in Task Manager. 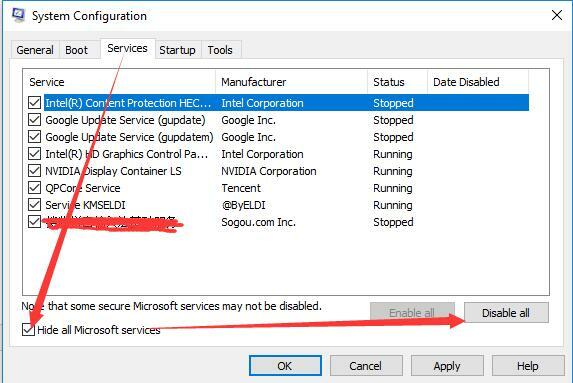 To conclude, in order to solve Modern Setup Host high CPU and disk space or not working on Windows 10, you need to try the solutions in this article to deal with this SetupHost.exe error.